Chesapeake Life Center will offer a variety of grief support groups January through March 2019 through its Prince George’s County office at 9500 Medical Center Drive, Suite 250, Largo. Coffee and Conversations Monthly Morning Grief Support Group is an informal gathering that provides a safe place for sharing and learning about grief while exploring coping strategies. The group will meet from 10 to 11:30 a.m. on the second Thursday of the month Jan. 10, Feb. 14 and March 14. Monthly Evening Grief Support Group is similar in format to the morning group and will meet from 6 to 7:30 p.m. Jan. 24, Feb. 28 and March 21. Sudden Loss Support Group is a new group the center began offering in the fall. It is for adults who are grieving someone who has passed from unexpected or sudden deaths, including suicide, homicide, accidents, natural causes such as an accident or allergic reaction or from advanced terminal illness that was undiagnosed or when death occurred within two months of diagnosis. 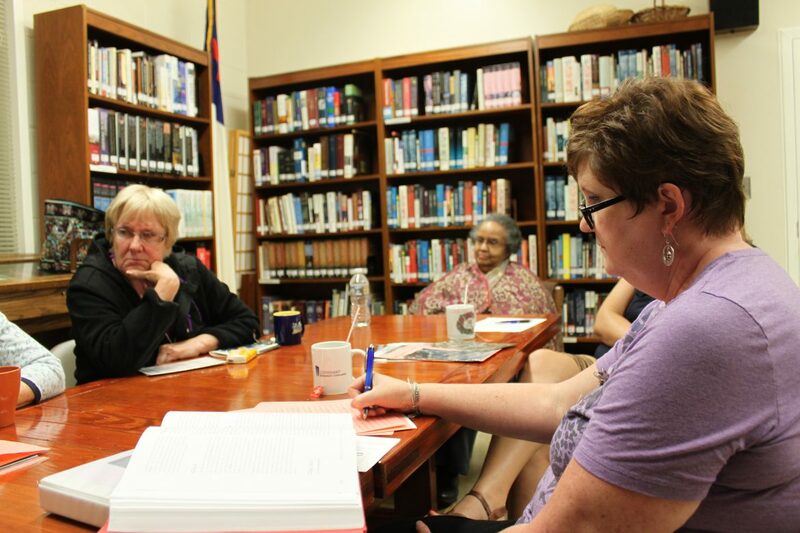 The group meets on the evenings of the third Monday of the month: Jan 21, Feb. 18 and March 18. Call for times and to speak with a counselor prior to attending your first meeting. SoulCollage Grief Support Group has participants create a series of collages to commemorate lost loved ones and to visually journal the grief process. Formerly held at Church of the Redeemer in Bowie, it will now meet in the Largo office from 5 to 7:30 p.m. on the first Monday of the month: Jan. 7, Feb. 4 and March 4. The cost is $10. Child care is not provided, and children are not permitted in any of these groups. Registration is required for all groups and can be completed by calling 888-501-7077 or emailing griefinfo@chesapeakelifecenter.org.